His brown eyes were the saddest eyes I had ever seen. Slanted slightly at the corners they gazed timidly at the camera. Three little pictures, they were all we had of him, each with the same downcast appearance. Even though his cheerless features had been the first thing to get my attention, my gaze soon dropped to his mouth. “Congenital Palatoschisis” 2 nd degree, the medical terminology listed on his medical form that in ordinary speech meant cleft palate. A simple surgery to perform, but at four years old this gaping split had not yet been repaired for this little boy. Although I did not know it then, this little boy with a cleft palate would have a huge impact on my life and teach me a valuable lesson. His name was Dang Shi Rui with “Dang” meaning “Communist Party.” While we were considering adoption, my siblings and I thought we definitely should keep the “Dang” as part of his new name. Although we came up with all kinds of fun variations of his name, we all voted and Timothy Shi Rui became his new American name. Timothy was found on July 12, 2001 , in the streets of Yangchuan City by Shi Chen-xiang, and so “Shi” became part of Timothy's Chinese name. He was later taken by the local police to a Social Welfare Institute where he would spend almost four years. We were introduced to Timothy via the internet. My mother saw his picture on a “Waiting Child” list, and she could not forget his sad eyes. My mom showed my father the picture and he agreed to pursue adopting Dang Shi Rui. Before beginning the adoption process, my parents showed us the picture and asked if we were in agreement to adopt. My brothers and sisters and I were all in agreement, so the process of adopting Dang began. My parents contacted the listing agency, and they were very excited that we wanted to adopt this little boy. However, that excitement ended abruptly when they discovered some facts about our family. China 's adoption policies state that if a family has over four children, they are not eligible to adopt from their country. This rule presented a problem because my family already had seven children. Another infraction was the timing. 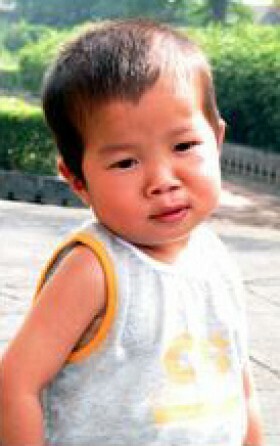 We had just adopted a little boy from Korea six months earlier, and China requires at least one year between adoptions. A third violation that our family committed was that my younger siblings, ages two and two-and-a-half, were too close in age to Tim who was three at that time. 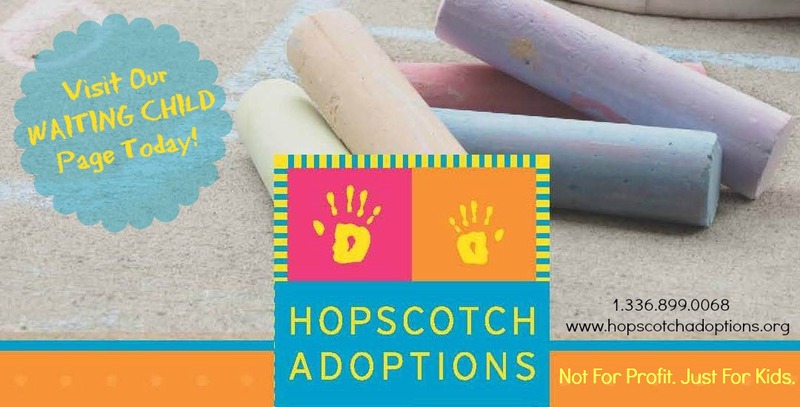 Despite all of these obstacles, my parents and I were positive that the adoption would go through if it was God's will for Timothy to be in our family. Miraculously, after filling out the necessary paper work, the Chinese Civil Affairs Office gave us our exemption meaning that we could proceed with the adoption. With the adoption process now underway, we received more medical and social information about Dang. Through this news we learned that he weighed an alarming nine kilograms which is about twenty pounds. That is what I weighed when I was one year old and Tim was almost four. My family began to have concerns about his physical development. Time passed quickly and in June 2005 my parents and my sister, Hannah, flew to Northern China to bring Timothy home. They met him at the Shanxi Civil Affairs Office. He had the same sad eyes as in the pictures, and he was scared to death. His world was being turned upside down because the orphanage was the only life that he knew. My parents asked many questions and were told that his diet consisted of a bowl of rice for breakfast, a bowl of rice for lunch, and a bowl of rice for dinner. Basically, his diet had left him malnourished and underdeveloped. After completing some paperwork, my parents took him to the hotel and gave him a bath. He screamed the whole time, his ribs stuck out and his arms and legs were skinny while his stomach was swollen. Without a great deal of forethought, my parents took him out to a McDonalds for his first real meal. His eyes opened wide, as he began to eat with both hands as fast as he could. When the food was gone my parents gave him more, and he began to clap with delight and continued to eat. Fries and a cheeseburger were followed by his first ice cream cone. He took a huge bite. Unfortunately, because of his open cleft palate, the freezing ice cream went straight to his brain. His eyes became even bigger than before, and after waiting a little bit, he began to eat the cone with much smaller bites. Through talking with other people familiar with Tim's orphanage, we were informed that it was not an entirely the best environment. But what orphanage possibly could be? Each child needs a family to cherish and love them. Though there were definitely caretakers that made great efforts, the magnitude of need many times prevented them from giving the love and attention that each child needed. Despite his rough early life and all of the hardships he has been through, Tim is the sweetest little boy. He is always happy and cheerful. All the fears of possible mental and physical disabilities were irrelevant as he continues to develop as any child his age. He is just very small for his age. An x-ray determined that his bone density is that of a two year old and he will be five in July. His future holds the possibility of many surgeries as his first surgery to close his palate was unsuccessful. I have learned a great deal from Timothy. Most importantly, I have learned to see the world through his eyes. His indomitable spirit and uncomplaining attitude show me that I have no right to be angry when I selfishly think my life is unfair or that I have been mistreated. People often tell us that he is lucky to have been adopted by my family, but I consider myself lucky to have the privilege of knowing him and having him in my life. When he greets me as I come home from school, his eyes are no longer sad. They are filled with laughter and happiness and are a reminder to me of how blessed I am. About the Author: Ben Adams is a Junior in High School. Ben, we wish you all the best.